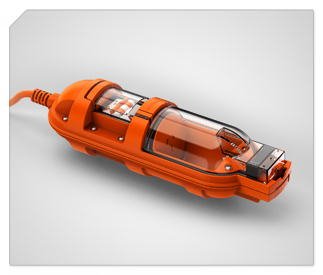 The heavy duty model AMPFIBIAN. A rugged, water resistant design for outdoor use and travel. Safely connect your 15A device, caravan, motorhome, campertrailer, compressor or welder to any standard Australian domestic 10A outlet. The heavy duty model AMPFIBIAN. Designed with a rugged, water resistant design for outdoor use and travel. 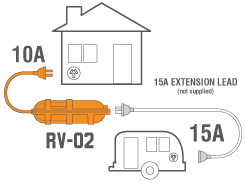 Safely connect your 15A device, caravan, motorhome, campertrailer, compressor or welder to any domestic 10A outlet*.